https://www.kipling-usa.com/seoul-go-large-15%22-laptop-backpack/100251198.html Seoul Go Large 15" Laptop Backpack This best-selling laptop backpack now officially has it all thanks to our newest feature: water bottle pockets. Our Seoul backpack is equipped with padded shoulder straps, a durable exterior, and roomy interior. Seoul easily fits textbooks and essentials, plus it has a protective sleeve for your 15" laptop, too! Zip-front pocket contains; two pen sleeves, cell phone pocket, slip pocket and large zip pocket so you can keep your essentials organized on-the-go. This best-selling laptop backpack now officially has it all thanks to our newest feature: water bottle pockets. Our Seoul backpack is equipped with padded shoulder straps, a durable exterior, and roomy interior. Seoul easily fits textbooks and essentials, plus it has a protective sleeve for your 15" laptop, too! Zip-front pocket contains; two pen sleeves, cell phone pocket, slip pocket and large zip pocket so you can keep your essentials organized on-the-go. If you like zippered sections, this back pack is for you. It's what I was looking for, and wanted. Love the design and quality of the zippers. Very well done! Love to have this in a regular canvas fabric. I bought this backpack for a family vacation in the Bahamas. The bag held everything for traveling (passports, travel documents, laptop, books, snacks etc), then was used as a daily beach bag and held 3 towels, sunscreen, water bottles, and a camera. Now that I've returned home, I use it to carry my laptop, wallet, water bottle and paperwork to and from work. It's a great universal backpack! Durable, great design. I love it. This was a Christmas gift for my daughter in high school, she loved it. It fits all of her supplies and chrome book easily. What I don’t like is that the big tilts forward and will fall over when you place it down on the floor or table. The two slip pockets inside the main compartment also takes away from storage space. 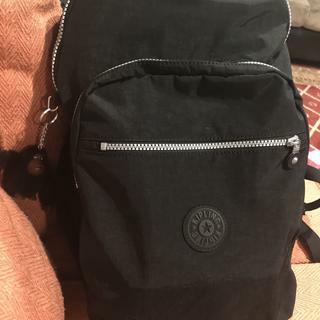 I bought two of these backpacks for my daughters for school, I like it a lot for the design, the amount of pockets, and the color is as shown in the photo, usually I always buy the kipling brand for the quality of their products. My daughters love your new backpacks because them can to carry everything their need. I love it!! It fits everything I need and it’s so cute! I’m obsessed! Great bag! 6th grader loves it! Love it! Has so many pockets without looking so big and bulky. Great backpack. School does not get better. This is my second kipling! I use this as my school bag, very comfortable and great quality. Purchased this bag for school for my 8 year old. Selection. My gaugter loves it. It’s a great backpack, but it can be improved with some modifications. I would recommend this backpack because it’s big enough that you can hold multiple books, folders,etc. The straps are very comftorable and seem of very good quality. The backpack in my opinion seems very stylish and it looks and feels of very high quality. It will most likely last for some years. I do wish it had more pockets( such as a mesh pocket with a zipper) so that the backpack would look more organized. Overall, it a great, high quality backpack that I would totally suggest you buy! In love with the backpack. I have my laptop, notebook, pen case, pen drive, cell phone and even my wallet all in the same place. Is just perfect! Love it. Would definitely recommend it. I saw it at Barnes and Noble when I was traveling and decided I wanted one when I got home. Because I need a resistant bag. 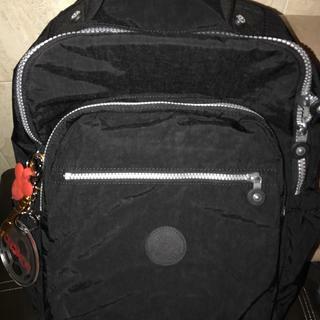 I want a backpack and it's on sale, and I also received additional 30% off! It is a great time to buy since I have been waiting for it go to on sale. I wanted it in true blue, but black is also good. Style and of course the price as I had to purchase for both boys. Affordable. It looks big and very organized, so I can easily find my stationery when I’m in school. Also, it was very cute! love the quality of your bags. for school purposes, more resistant and secure. I like about bottle pocket. My child has exact same bag that she used for the last two years and was ver happy with it,... So this year she wanted a different color! Best, most durable backpack I have ever had! I've had mine for 5 years but decided to get a new one because of the side pockets. Can't wait! I CHOOSE THESE ITEMS BECAUSE I KNOW THE QUALITY OF THE PRODUCT, AND I AM VERY SATISFIED. Is this the biggest backpack you guys have? How many text books fit in this bag? This is a difficult question to answer without knowing the size of each textbook! The dimensions for this bag are 12.75"L x 17.25"H x 9"D. So you should be able to fit a couple with no problem. There is no problem to fit in 8-10 text books which are A4 size around 200 pages each, but it will be really heavy if put in such numbers of books. I have now about 5 textbooks inside of my bag, but I know I can fit another 4 or 5 books. Plenty of space!!!! Really nice!